If you didn't think Madonna looked a frog before reading this, you will after! These stars are totally twinsies, and you didn't even know it. Two Lara Crofts are better than one. Sometimes things that are not related to one another at all can look almost identical. 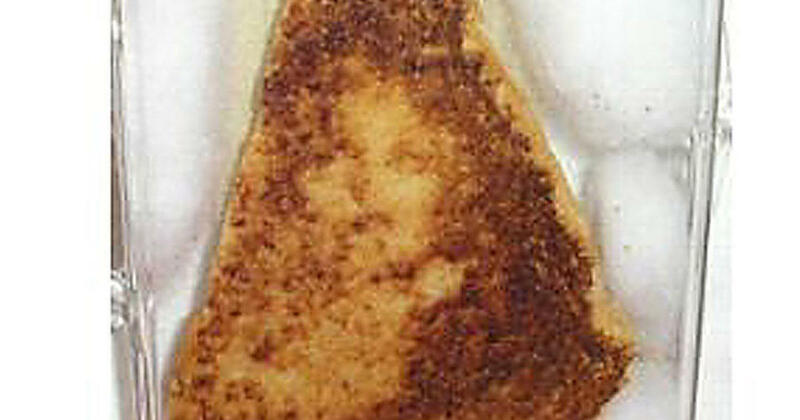 At first glance, a piece of grilled cheese can also look like The Virgin Mary, a dog could look exactly like Frank Gallagher and a brussel sprout could look just like Kermit the Frog. The possibilities are endless, and you just have to open your eyes and take a look around to see completely different things that look freakishly similar to each other. Here is another great example. Kim K is one of the hottest women living on this planet. You can't deny that. But doesn't she look exactly like the Penguin here!? I am sure Danny DeVito never thought that he would be called a Kim K lookalike. Congratulations Danny, you've made it! And here is a question: Who wore it better? That is honestly a tough one. If the Firefox logo was a real dog, this pup would be it. I wonder if this dog should ask for some money. Why wouldn't he? Clearly, he should be making millions for being the face of Firefox. Mmmmmm...those sloths look delicious! Is it bad that I want to eat them? Wait, those are chocolate croissants? Oh, well now I don't feel bad at all. Stuff those into my face and fast! I didn't know that the Egyptians knew who Michael Jackson was 3,000 years ago. How is that even possible?! Why didn't we know about him until the '60s? Well, we know that Michael is timeless, but this is something else. Did you know that Einstein is alive and well and driving for Uber? Doesn't he know that he should drive for Lyft so he can make better tips? He once said, "Life is like riding a bicycle. To keep your balance you must keep moving." I can't wait to see what quote he comes up with about driving for Uber. Did you know that frogs can vogue? Well, now you know that they can! This frog certainly knows how to express himself. I wonder if Madonna got her moves from the frog or if the frog got its moves from Madonna. Move over sweet potatoes. This is a seal potato. Who knew that a potato could have such a cute face?! That potato is adorable. Absolutely and utterly adorable. Too adorable to eat, that is for sure! Some think that Jack Nicholson is very attractive. Others think that Leonardo DiCaprio is smoking hot. But Leo turning into Jack? Not so much. Sorry Leo, it's just not your best look. Duck.... Duck... Squash!! This squash looks so much like a duck that I am sure a vegetarian wouldn't even want to eat it. Sorry, squash. If it looks like a duck and it looks like a duck... it just looks too much like a duck. If any animal has a perfect juicy booty, it would be the zebra. Look, this lady should be flattered! Its booty is plump, toned and tight and we should all be so lucky to have a Zebra booty. The guy went a bar and ran into Gandalf! What an amazing celebrity sighting! I wonder what he was drinking. I hope it was something sugary and sweet like a lemon drop! The bill of this duck looks exactly like a wolf! How did this even happen? If it quacks like a duck and looks like a wolf... then what is it? Sorry, I am just so confused. We all know who Chewbacca is and of course everyone loves him. But now, I would like to introduce to you.... Chewbarka! He's loyal, he is furry and he is cuter than cute. We know that Pinky was supposed to be a mouse, but now I'm not so sure. This dog looks exactly like Pinky. I think they should request some royalties. Clearly, the character of Pinky was based on this pup. Wow, this corn on the cob looks exactly like Donald Trump. I am sure that some people even wished that this corn was our president right now. What? Corn can't speak, so I can see why some would think that it was an improvement.